If you’re about to run your first triathlon, or if you’re a seasoned vet working towards a better time, than you already know that this three-legged race is famed for its demands on the body and the mind, making training for the event uniquely rigorous. But don’t let that discourage you—even beginning athletes have to start somewhere. Whether you’re moving from couch to bike or have several Ironman events under your belt, these apps will help you perfect your training regime, monitor your progress, and become part of the larger triathlete community. 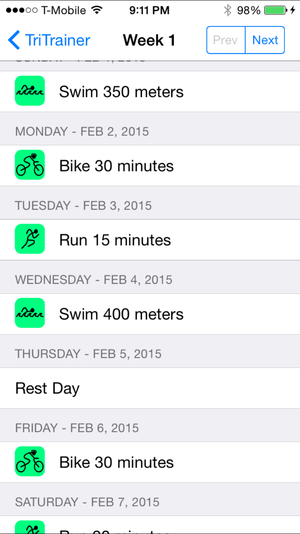 Tri Trainer may not be the prettiest app, but it's a fantastic training resource. Use this from the very start. 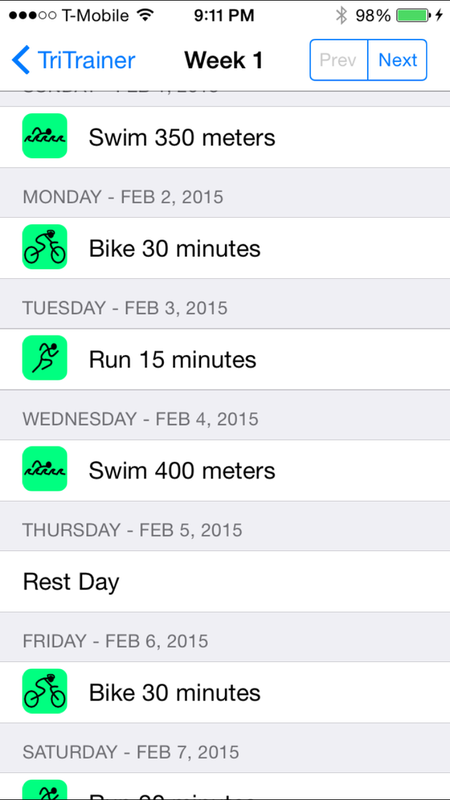 Tri Trainer ($6) is the most expensive app of the bunch, but may have the most complete approach to your tri planning. You tell the app how far out you have until your event and give some info on your experience, and then it gives you a day-by-day plan that you can update as needed. The rigorousness of the workouts ramp up as the event gets closer, ensuring that you're fully prepared for your race day. The text-heavy app also has a handy glossary and tips section, but some will find the lack of diagrams, videos, and motion tracking to be a bit of a disappointment, given the price tag. 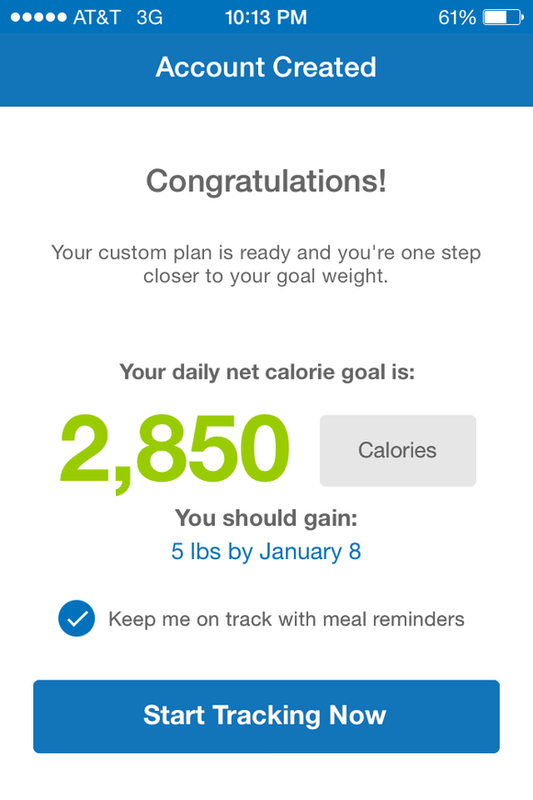 MyFitnessPal keeps track of your diet, no matter your goal. The most difficult leg of a triathlon is arguably the swimming portion, partially due to the difficulty of actually finding a swimming location where you can train. Enter Swim Radar ($3), which points out local indoor swimming pools nearby. The listing is fairly extensive, though it failed to note both my gym’s pool and the fact that I live a quarter-mile away from a lake. Still, for those living in cities, this might be your best option for finding a place to train for that grueling swimming leg. GoSwim is all about the swimming leg of your race. 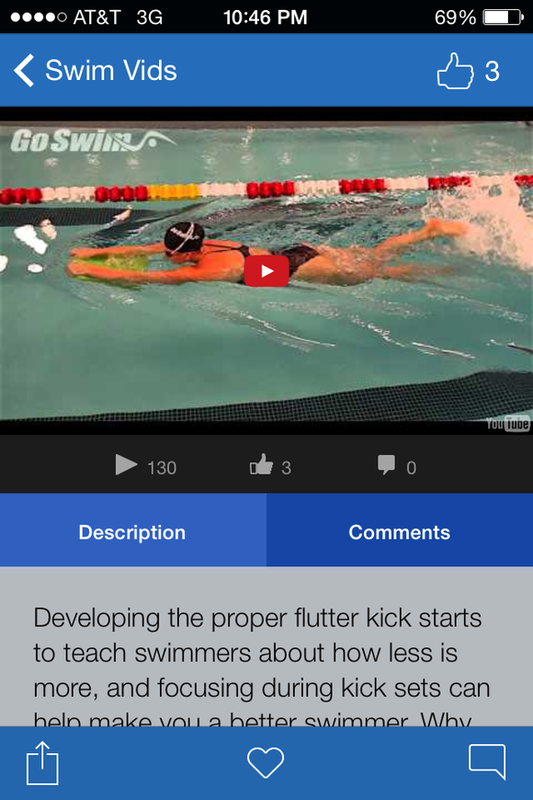 For the experienced triathlete who already has a swimming community, GoSwim is a bit of overkill: a lot of the app’s videos deal with techniques and strokes that won’t serve you in the race; but you can still learn a lot from this app no matter your skill level. You’ve found a pool, you’ve got your basic strokes down, and now it’s time to get in shape for the swim leg. With My Tri Swim Coach ($2), you’ll get a full set of drills catered to the season and level you select. Whether you’re a beginner, intermediate, or advanced triathlete—or if you’re going for a sprint, Olympic, half Ironman, or full Ironman—the app will provide you with a list of drills that fit your regime. You’ll also appreciate the four seasonal options (off, base, build, and peak) that help you all year round. The drills come with descriptions and videos, ensuring you know exactly what to do. 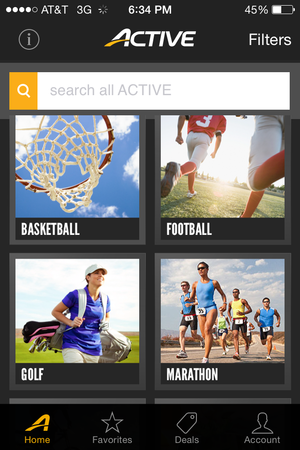 Active has a huge database of fitness events that you can participate in. Active (free) doesn’t give you metrics or help you hone your technique—instead, it helps you hunt down upcoming fitness events in your area. 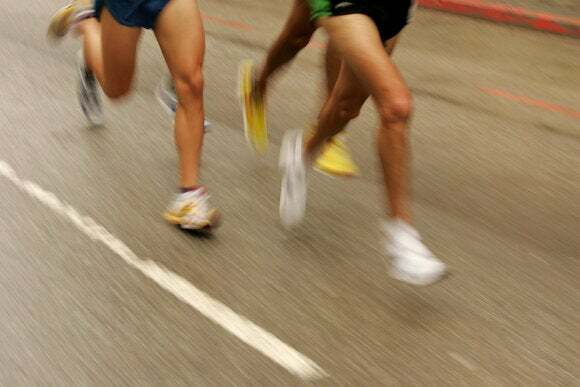 Besides triathlons, you can find 5K races, cycling teams, basketball meet-ups, and much more. If you’re tired of running, cycling, and swimming, taking a break with some organized flag football or a fitness class may be just what you need, and Active will help you find it. BeginnerTriathlete (free) is all about the community. The app gives you information on races in your area, and connects you to other triathletes. You can exchange “inspires”—notes of encouragement—with other users, and join up in the forums for mentorship or to talk shop. (You’ll even quickly get used to its initial blue-scale interface, which comparatively isn’t bad.) Because of its social aspects, BeginnerTriathlete shines when used with a great deal of friends or like-minded individuals. Log your routes and track your progress with MapMyRun. 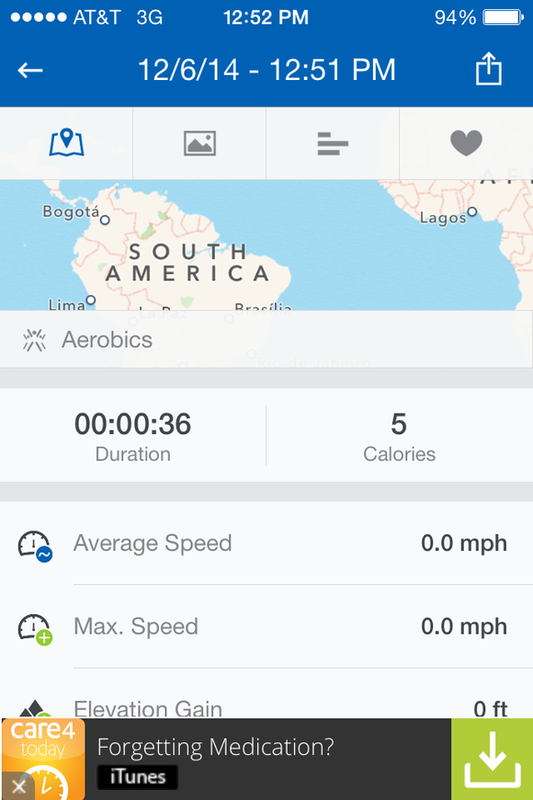 MapMyRun ($3) monitors a host of activities—from cycling to pushups to running. As the name implies, the app will live track you on a map as you go. You can also create routes, track your progress over time, change your music, and even get coaching (if you upgrade to MVP status). Though on the pricey side, it’s an exceptionally useful training tool for the running and cycling legs. 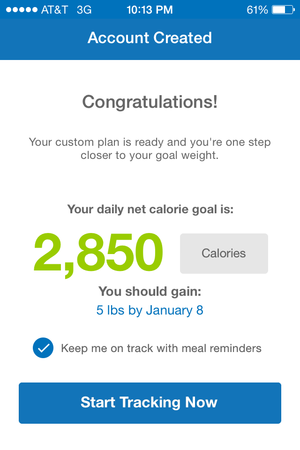 You can also log your workout and your diet, and share your progress with your friends. MapMyRun is that rare fitness app that has as great interface, collects fantastic data, and has a strong social component. But what if you use a fitness wearable? 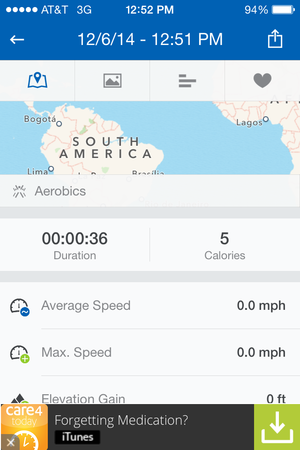 Runtastic (free) is the only app that can rival MapMyRun, in terms of transparency and app-generated statistics. You can track your run duration, distance, calories burnt, and average pace, but you can also access training plans for different goals—beginner runs, weight loss, or marathon training, for example. However, you have to purchase the training plans for around $20 each, which may not be worth the cost depending on your goals. Getting access to additional features, like routes and interval training, requires buying Runtastic Pro ($5), which also offers a voice coach, power songs to work out to, and more personal stats. You can connect a selection of running gadgets to further supplement your training, including a heart rate monitor, a smartwatch, or Runtastic’s Orbit. While Runtastic makes you pay more for a lot of features other apps give away for free, the premium user will find the ceiling on this running-centric app to be pretty high.